Bring a pan of salted water to the boil, and cook the green beans until tender, about 10 minutes. Drain and set aside. Cook the salmon fillets, skin side down, in a nonstick frying pan over low heat for about 10 minutes. Turn over, cook for 1 minute, then turn over again to finish cooking, until the fish flakes easily with a fork. Season with salt and pepper. Divide the green beans onto 4 plates, and put one salmon fillet on each plate, and place a dill frond on each fillet. Sprinkle with the linseeds. Place all wet ingredients into a seperate bowl and mix well. Pour the wet ingredients into the dry ingredients and mix, either with a spoon or with your hands. Bring the mixture together with your hands to form a dough. Tip the dough out on to a floured surface and knead for 10 minutes. Put the dough back into the bowl and cover with cling film. Leave in a warm place for an hour to rise. Knock back the dough, and form into your required shape, place on a baking tray. Bake in the oven for 20 minutes, take out of the oven and turn over, put back in the oven and bake for a further 10 minutes. To test if the loaf is ready, tap the base lightly, it should sound hollow. Leave on a rack to cool. Freeze any leftovers or crusts in a bag to make breadcrumbs at a later date. Golden linseeds (also known as flaxseeds) are powerhouses of nutrition. They have a subtle nutty, slightly earthy flavour and are a cheap superfood that everyone can include in their diet. They are available whole or – for easier absorbtion – split, ground or as linseed or flaxseed oil. Linseeds are the richest plant source of omega 3 fats, which are essential for a healthy brain, heart, joints and immune system.Due to the high content of plant chemicals known as phytoestrogens, linseeds have been called nature’s answer to hormone replacement therapy. Phytoestrogens are naturally occurring forms of the female hormone oestrogen and are found in certain foods. They help to either reduce high levels of oestrogens or to boost low levels. This can have a positive impact on the unpleasant effects of the menopause, such as flushing and night sweats. Alternatively, you can grind linseeds in a pestle and mortar or coffee grinder before adding them to food. Never cook with linseeds or their oil – as the heat will render them unstable. To keep them fresh, store airtight in the fridge. 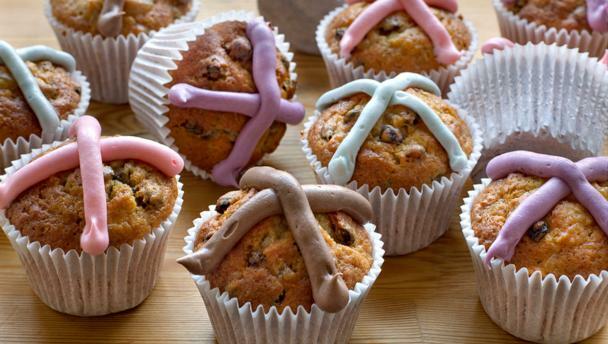 Line the pockets of a muffin tray with muffin cases or paper wraps, and preheat the oven to 180C/350F/Gas 4. Melt the butter with the spices in a small pan over a low heat, then pour this into a mixing bowl with the sugar and oil and stir well. Beat in the eggs until smooth. Peel the apples and grate them, discarding the core, and stir the apples into the other ingredients, followed by the crystallised ginger, currants and mixed dried fruit. Stir in the flour and baking powder evenly. Three-quarter fill each muffin paper with spoonfuls of the mixture and bake for about 25 minutes, or until a skewer poked in comes out almost clean. Make the syrup by boiling the sugar with the water in a small pan until dissolved, then leave to liquid to cool. Brush it over the warm cupcakes. When cold, pipe crosses on the cupcakes with the cream cheese frosting before serving. Preheat the oven to 180 degrees C. Line 2 sheet pans with parchment paper. Get yours at the nearest Mopani Pharmacy today! Consuming ginger every day or on a regular basis can help reduce muscle pain from exercise related effort or injury. In a 2010 study published in the “Journal of Pain,” ginger was shown to help relieve some muscle pain due to exercise. A daily dose of 2 grams of ginger reduced pain and inflammation due to exercising. Ginger can also help reduce inflammation of the joints, which may be helpful also in treating conditions such as arthritis, according to the University of Maryland Medical Center. For over 5,000 years, ginger has been prized and used for its “warming” properties. In Asian medical practice, historically and in the current-day, ginger is used to treat a number of conditions, from arthritis and migraines, to sore throats. It is also used as a general health tonic, thought to help reduce overall body fat and improve circulation. In Ayurvedic medicine, the traditional medical practice of India, ginger has been used in the treatment of anorexia and cholera. 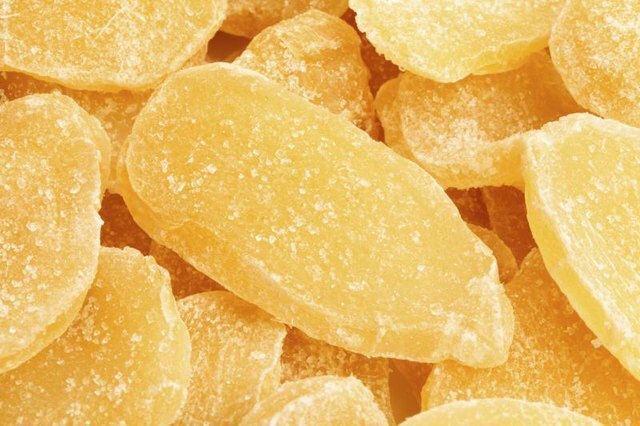 This imported crystallized ginger is ideal for a spicy snack, a unique cup of tea, or an ingredient in your cooking. 3) Immunity-Booster: During flu season, make sure you have crystallized ginger on-hand! Ginger contains active compounds that can relieve sinuses and protect the body against toxins and viruses. A 2008 article published in BMC Complementary and Alternative Medicine discussed ginger’s ability to activate T-cells, a group of white blood cells that help destroy viruses and tumor cells.